We signed up for the tours and discovered a great place we will be visiting again in the Spring when it’s perfect weather for the boat tour and outdoor gardens. We had a great time, discovered more of our history and enjoyed taking a bunch of fun pictures along the beautiful drive. If you’re anything like me, the days turn into weeks and then before I know it, 2011 will be here just as fast as 2010 arrived. . . I’m planning on taking the time to enjoy the place we call “home” and so many consider their “vacation“! I wonder where we’ll end up as “tourist” this coming weekend! If you’d like to enjoy our Lowcountry too, another great event is right around the corner in a few weeks! 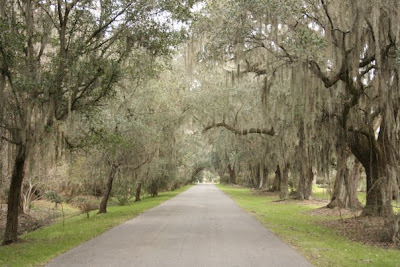 The Southeast Tourism Society has listed this in their Top 20 and it’s going to be right here in our backyard at Boone Hall Plantation. 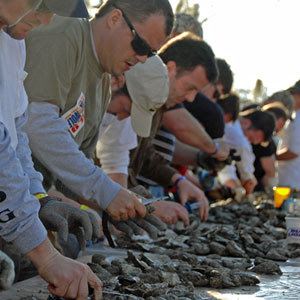 January 31st from 11-5pm over 65,000 pounds of oysters will be enjoyed by many in the Lowcountry! Never been? Why not change that this year and make your way out for a day of fun and good eats! For more information, you can click on the links above or call Boone Hall Plantation – 843.577.4030!